We allow you to use Avocode on three devices at the same time. That said, you can use Avocode on your workstation at the office, desktop at home, and even on your laptop on the go. All without the need to log in every time. How to proceed when you reach the log in limit? 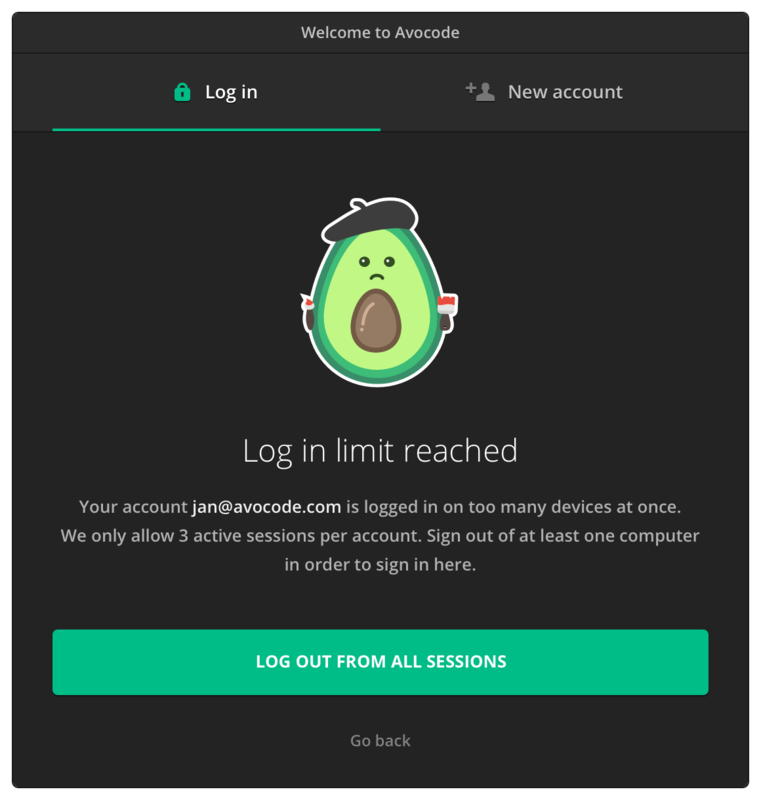 When you’re logged in your Avocode account with more than three devices at the same time, Avocode will notify you that you have reached the limit. To log in, please log out from all previous sessions first. 2. Then you will be able to log in on this device. 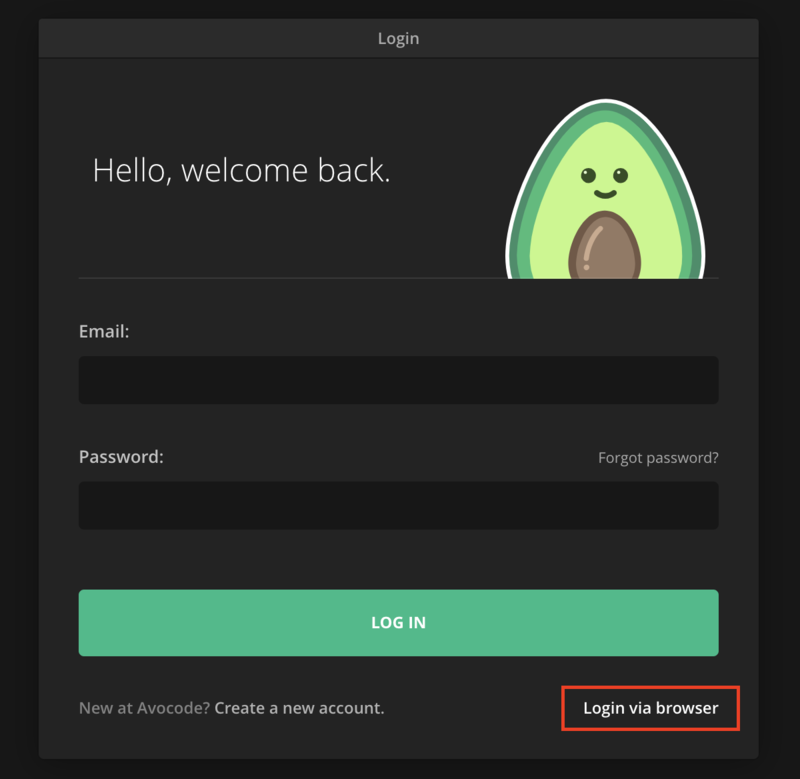 👉🏼TIP: If you’re logged in to your Avocode account in the browser and need to log in to the desktop app quickly, just click on Login via browser.